As a busy homeschooling mom with kids of varying ages, I am always looking for resources that can make my days easier and benefit them all. 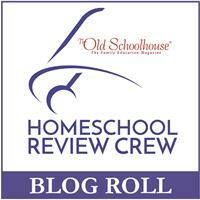 Over the past few weeks, we've been enjoying reviewing the Ultimate Annual Yearly Membership from SchoolhouseTeachers.com. Let me just say there is SO MUCH INCLUDED in this membership! I won't be able to touch on all the wonderful, useful features, so I will focus instead on our personal favorites. SchoolhouseTeachers.com is an online educational resource for Christian homeschooling families, BY Christian homeschooling families. You will find self-paced, online courses and printable materials for preschool through high school, e-books, planning resources, an extensive video library, focused learning centers, and a whole area devoted to homeschool parent support - just to scratch the surface! They currently offer over 425 courses (both core subjects and electives) and are adding more every month! They offer both a monthly and a yearly subscription option.